Not long ago, there lived a great scribe who was on his way to Sainsburys to purchase some things for the weekend. As he drove his dilapidated car past the park he spotted a pigeon lying sick and injured in the road, and being of good heart he picked it up, took it home and took care of it with the help of his lady friend Ursula. The pigeon had been mauled by a wild beast, was blind in one eye and his chances of survival were slim but the couple kept him warm and comforted him. Much to their delight his health improved and by the next day, despite horrific injuries, he seemed perky and up for a chat. The pigeon thought for a while and did a tiny white dump. Then, raising his little head up high, he did another dump, this time slightly more robust with a flat underside. Hanging up in disbelief, the scribe made a beeline for the pigeon who was preparing a third dump, this time not unlike egg-white with a maggot in the centre. ‘Pigeon,’ he went, ‘is this another sign?’ Ursula squealed at the computer as she raked further information from it. Turns out that a wormlike plop in a mucus membrane strongly hinted that the same pub would shortly have improved toilets and an extended kitchen. Shaking with incredulity, the scribe and Ursula peered back into the pigeon’s box. He was sitting down and preparing for a night’s rest, but before he did so he let off an enormous guff. ‘Urs, what does The Lancet say about that, then? And so it was, the pigeon was spared that rotten vegetable for the rest of his years. And so it was The Idle Hour Barnes got pukka toilets and a new kitchen. And, God only knows how, the scribe got away with another one. Da Mudda: Yes, yes! Now, which one is the Delete key again? Me: It’s the one with the backwards arrow, Ma. Like a Turn Left sign, remember? Da Mudda: Yes, of course, like a Turn Left sign…a Turn Left sign, yes…ooohh, the little flashing line seems to have gone. Is that meant to happen? Me: Did you press the key? Da Mudda: Now don’t get annoyed, I know you’ve told me…hold on, hold on…it’s the one…umm…it’s the one with…the…with the…is it the big one at the bottom? Me: Not the big one, that’s the Space Bar, remember? Da Mudda: Yes, of course…the Space Key…sorry, Bar…Oh look, I’m fed up with all this email stuff, it’s quicker to send a bloody letter for God’s sake! Can we talk about something else, please? Your brother tells me you’re getting lots of viewers on the blog. Is that good? Me: It’s early days, Ma. We’ve only been counting for a week but it’s looking promising. Da Mudda: Well, I’m sure you know what you’re doing. All that money we spent on your education, it’s about time something looked promising. Me: As I said, it’s early days. But we’re getting comments already and we had over 300 hits in the first week. Me: Yes, I suppose it does. Da Mudda: Ah, he’s just on the other line now, can I put you on hold? Da Mudda: Stephen, I’ve got your brother on the other line. Can I call you back in a couple of hours? Nibs: (over loudspeaker) Ma, we’re really busy tonight, I’ll call you later. And could you ask him to call me about the blog, there’s a few things we need to straighten out. Da Mudda: Well he’s here now. Shall I put him on for you? Nibs: Not now, Ma. Get him to call me tomorrow. After 6pm. Da Mudda: Ok, will do. Da Mudda: (coughs) Er, hello? Da Mudda: Ah, you’re there! Me: Yes, I am. By the skin of my teeth, but still here. Just. Da Mudda: Excellent! So, where were we? Oh yes! Now, which one is the Delete Key again? London 1779. A young servant boy runs towards his master along a dirt track that will become White Hart Lane, Barnes in fifty-odd years. They have travelled from afar and seek only a tankard of Harveys and sustenance for the night. Servant: My Lord! I have found us the tavern! Over yonder by the railway tracks. Master: Mock me not, Bobbins, or ye shall sleep with the fishes tonight. And the railway has not yet been invented, as well ye know. Servant: Forgive me, Master, but it is true. The landlord seems most welcoming also. Master: Perchance, does he sport a ridiculous yellow Miami Vice jacket? And Penny Loafer shoes with white socks? And a beard inside which one could conceal a bantam?And does he answer to the name ‘Nibs’? Servant: Why yes, my Lord! How could you know such things? Master: And tell me: Is it not Tuesday the 15th even as we speak? Servant: Forsooth, I believe it is, my Lord. Master: Also, pray, whilst you were inside, did you spy the tail of an alligator and/or the gizzards of a zebra on the ‘Exotic Meats For One Week Only As Recommended By A Celebrity We Cannot Name’ menu? Servant: Santa on a stick, M’lud, thou art surely blessed with divine perception. But as your servant, I cannot use words of more than one syllable at a time if I am to be a credible sidekick to your increasingly unlikely literary device. Master: BE SILENT insolent child!!! Thou shalt conform to this narrative stereotype or by my own entrails thou shalt go hungry tonight. Servant: But Master, I am a lily-livered, limp-wristed, ex-art school vegetarian. I fear such sumptuous foodstuffs will play havoc with ye olde plumbing. Master: GOD’S TROUSERS!!! Boy, do you know nothing? It’s none other than Exotic Meats Week at The Idle Hour Barnes, and by some fantastical feat of fortune we have stumbled upon it at the very start. Servant: Actually sir, I think you’ll find it was by Sat Nav. Master: Like, whatever, sirrah! Do not question my methods, or for that matter my timing: I fear we are 232 years too early for such a feast but we do at least have the blessed fortune of being British a century in advance of queueing for fun so we stand a good chance of getting in. Do you really not eat meat? Servant: Sorry. Not a guff’s chance in a wind tunnel. Master: I hate you, Bobbins. The two men turn into Railway Side where they are met by a man in an absurd Miami Vice jacket and Penny Loafers. And a beard. He smiles and embraces them in a not at all scary manner. That’s what you do on Exotic Meat Week. Because there’s lots of exotic meat. And you have travelled from afar and seek only a tankard of Harveys and sustenance for the night. As the long winter nights draw in and Call Me Dave’s austerity measures begin to bite, you’re probably wondering, like me, how the disaffected rural peasants of pre-Revolution France managed to stay afloat when hard times came a-knocking. Of course you are. Well, the answer is two-fold: You cross-subsidised, which loosely meant getting another job, such as rat-catching, ash-collecting for laundry purposes, or you became a tétaire (my particular favourite), an astonishing job for the boys which involved sucking mothers’ breasts to start the flow of milk. Probably a long queue at the Town Hall for that one. Alternatively you did nothing. Nothing at all for months and months, and there was no shame in this: Men and women literally curled up together like gerbils in squalid basements throughout the land for up to fifteen hours a day, and by doing so kept warm and lowered their metabolisms dramatically, thereby reducing the need for food which was in scant supply. In short, it was survival by hibernation. 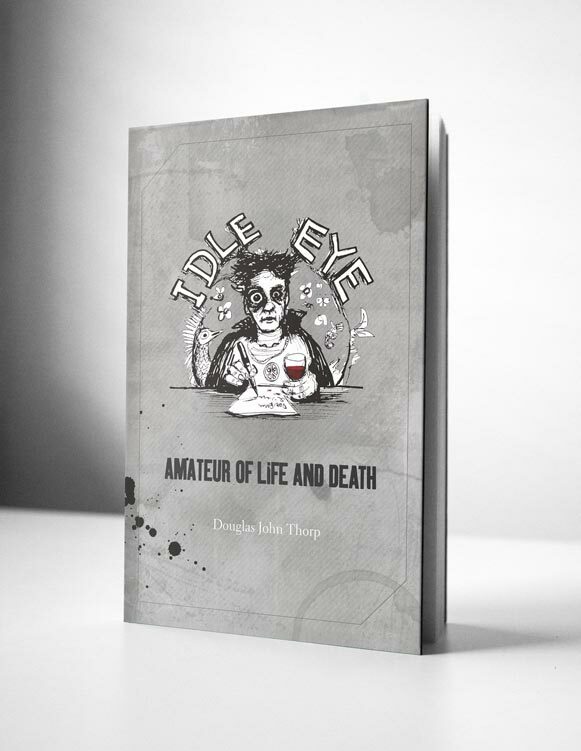 The word ‘Idle’ has long been associated with sloth, from louche dandy fops to Wayne and Waynetta, and yet if we dig a little deeper we find that to be idle was a pragmatic form of self-preservation; a temporary shut-down in preparation for the physical working months ahead. These are the very qualities Nibs had in mind when IH Barnes was born ten years ago, and for his part, self-preservation seems to have worked very nicely, thank you. For my own, I can vouch for the exact same from the perspective of my teenage exchange year in the town of Foix, just north of the Pyrenees, when I shared a room with a goat in lieu of central heating. This is not one word of a lie (unlike most of this blog), and when the time came for me to return to the UK, I wept like a girl for that goat. As she did for me.